A drain rehabilitation team from Lanes Group plc has used no-dig lining to renew underground foul and production pipes at a large cheese factory. The drainage engineers installed seven point liners, see picture above, and a 12-metre full liner in pipes at the factory during a weekend shutdown. Matt Banks, Area Development Manager for the Lanes Bristol depot, which carried out the work, said: “We were working long shifts under significant time pressure to complete the project. “We only had that weekend to do the work, before production had to restart, and all the liners were installed safely, to a high standard and on time. 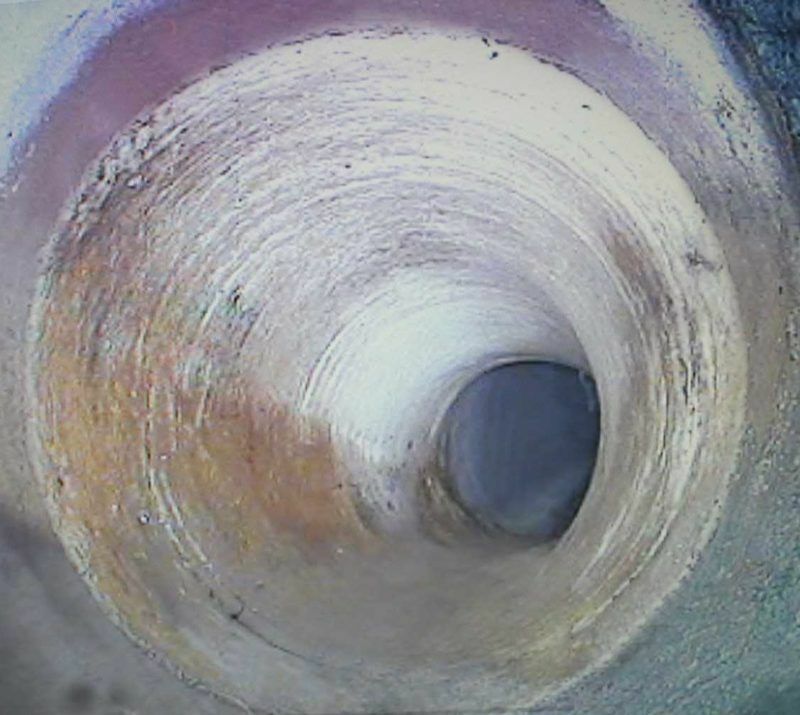 Lanes Bristol had carried out a CCTV drain survey that identified the pipe defects, including cracking and displaced joints, at the food factory in the West Country. The remedial work had to be planned to coincide with the weekend production shutdown, with Lanes drainage engineers working long day shifts, starting at 7am. The repairs had to be made to pipes ranging in diameter from 150mm to 225mm, of both clay and plastic construction. Two of the pipes carried production waste. Point lining, also known as patch lining, involves installing a cured-in-place pipeline (CIPP), forming a new pipe within the defective pipe. A short cylindrical glass reinforced patch, which has been impregnated with resin, is guided into place inside the damaged section of pipe. The patch is then expanded with a packer that is inflated with compressed air, then left to cure, or harden, in ambient air temperature. The 12-metre ambient CIPP liner was installed along a length of pipe that had more than one defects. Doing so was more cost-effective for the client than installing a series of point liners. The Lanes team used non-odour resin to ensure there was no risk of production equipment in a highly-controlled food production environment being tainted. All the liners were installed and work teams withdrawn by 7pm on Sunday evening. The factory’s operational teams could resume production, knowing the drain pipes were clear of defects. Matt Banks said: “This sort of drainage rehabilitation service can be managed by the Lanes Bristol depot. “For more complex drain, sewer and tank rehabilitation projects, we can draw on the expertise of colleagues in the Lanes Sewer Rehabilitation Division.